New Pakistan navy civilian jobs 2018 | joinpaknavy.gov.pk online registration 2018. 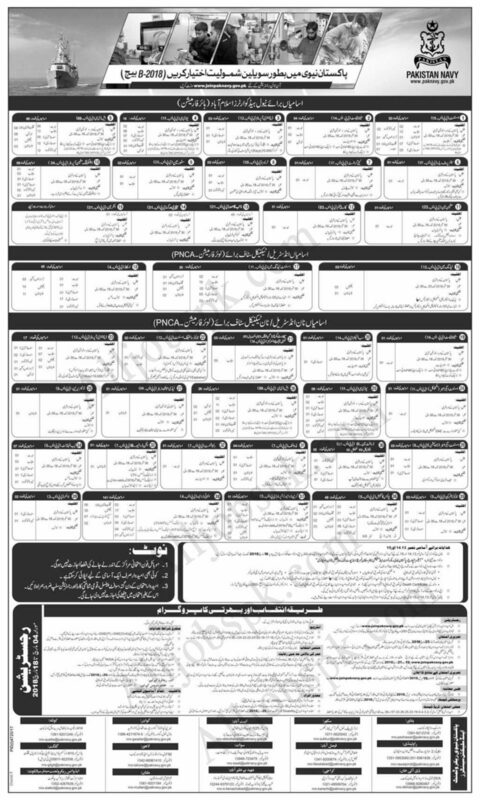 Pakistan Navy Is a Best Govt jobs in Armed Forces. 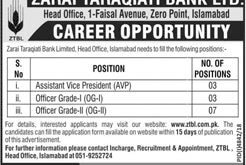 Candidates from all over Pakistan are encouraged to apply for these jobs. Personnel belonging to Sindh, Baluchistan, KPK, Punjab, GB FATA, AJK & Gilgit Baltistan are welcomed to apply. Assistant (BS-15) – (32 posts available). Stenotypist (BS-14) – (04 posts available). Data Entry Operators (BS-12) – (03 posts available). Upper Division Clerks (BS-11) – (19 posts available). Lower Division Clerks (BS-09) – (60+ posts available). Tracers (BS-05) – (03 posts available). Senior Proof Readers (BS-07) – (01 posts available). Storemen (BS-05) – (02 posts available). Duplicate Machine Operators (BS-04) – (09 posts available). 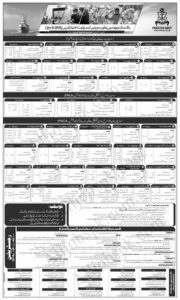 Calligraphist (BS-07) – (01 posts available). Machineman, Carpenter, Sanitary Man & others. Assistant Leading Man (BS-11) – (30 posts available). Leading Man (BS-12) – (03 posts available). High Skilled Grade (BS-04) – (45 posts available). Librarian (BS-08) – (01 posts available). Junior Scientific Assistant (BS-12) – (02 posts available). Supports Coach (BS-14) – (03 posts available). Junior Scientific Assistants (BS-12) – (02 posts available). Data Entry Operators (DE0) (BS-12) – (17 posts available). Assistant Examiner (Mechanical) (BS-11) – (01 post available). Assistant Examiner – Ammunition (BS-08) – (03 posts available). MT Driver (BS-11) – (30 posts available). Assistant Leading Man (BS-04) – (141 posts available). Lab Attendant (BS-05) – (07 posts available). Sub-Inspector (BS-14) – (01 posts available). Police Constable (BS-05) – (48 posts available). Midwives (BS-07) – (04 posts available). Lower Division Clerks (BS-09) – (26 posts available). Upper Division Clerks (BS-11)– (08 posts available). How to Apply in Pakistan navy civilian jobs 2018? All the interested applicants are requested to confirm their eligibility first and then apply. The eligible candidates are then requested to visit https://joinpaknavy.gov.pk from where they can register themselves and download the deposit slip for entry test fee. Eligible candidates are required to start submitting their online application starting from 4th March 2018. The last due date for application submission is 18th March 2018 after which no application shall be entertained.